I find myself thinking about the habitual language of discomfort we use about unabashedly smart women [writers or not] – I find myself thinking about how often I hear it, the discomfort, and I keep thinking: I find myself, thinking, and so do you, so maybe that’s the source of your discomfort. Generally speaking, we like our heroines reduced to needlepoint slogans on the walls of our offices, where we can safely ignore them [indeed, Margaret Mead, it is the only thing that ever has adorned the wall of every women’s center I have known: how ubiquitous, your domestication, how we have shrunk you to fit!]. Specifically, we like to distance ourselves from those who are doing what we say we want, so we are not also responsible for doing it. There is an article about Anne Carson in the New York Times. I love this woman with the hard, bright fire with which I love Gilgamesh. And I mean by that both the epic and my dog. Which is to say: so much that sometimes I fear my heart will explode if I let myself gaze too directly at the beloved. 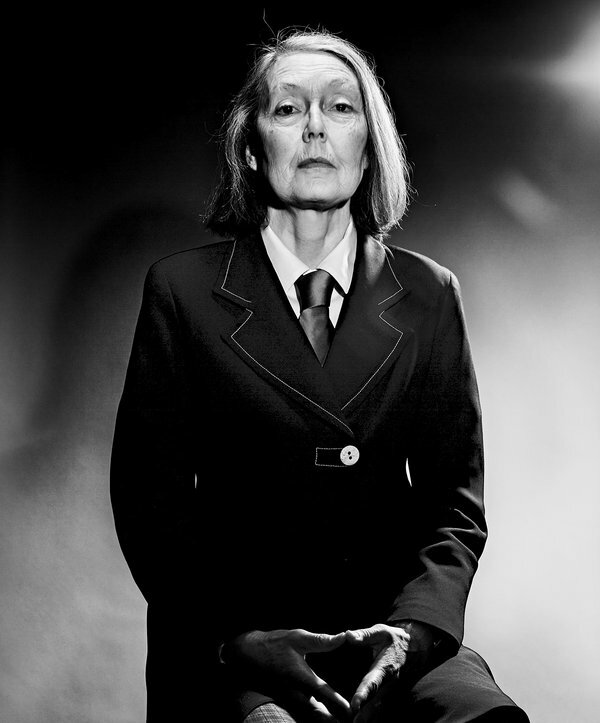 I don’t know Anne Carson, of course. I mean, I heard her read in Boston at AWP last week, and told her thanks for her work, which has made both me and my work more possible in this world, and I gave her a rose. She smiled, and I was fiercely, brightly happy to have been able to meet her acerbic humor, her self-contained and generous wit off the page where I’d already loved it for a long time. But we don’t hang out, so possibly I should say “I love this woman’s work” rather than the more inappropriately personal “I love this woman” – but it’s intentional, the inappropriately personal. The fact of her person is what makes possible her page, and her page is what makes me and my work more possible. I don’t want to distance from the entire fact of her, or think myself not responsible. The fact of her entire makes me more responsible for myself. And I like it like that. Dante reportedly said: if the reader has an itch, let him scratch it. I edited those parts away, in a flash of hard, bright refusal to participate in our habitual language of discomfort with unabashedly smart women, even when it bends toward praise. My all-time favorite profanity is in Ancient Greek: baal eis korakas. Throw yourself to the crows. That curse is what I muttered when I deleted the “inscrutable” and the tagline, regardless of how they were intended, for their larger resonance with the rest of the crap. It sounds funny, or funny-ish, the throw yourself to the crows thing. But what it really meant in context is what I want for the sentiment, the habit, the habitual sentimentalizing of women and the knee-jerk discomfort with their hard, bright wit: may you die and remain unburied and unmourned, flesh picked over by scavengers, and wander the earth forever invisible and irrelevant, denied even the final resting place, whatever it might be, after riding Charon’s goddamned boat. Anne Carson is brilliant. Full stop. That is why I love her. There is nothing inscrutable or un-poetic about her, or about that. And nothing uncomfortable, either. Intelligence is not alien, you know. Even when a woman does it. It’s just a lot more work. Okay, I lied. That’s just the irritation talking. It’s not more work than the relentless, endless posturing and obscuring and undermining of self and others and constant looking down then back up from under the lashes and gaspy praise that we all know is actually an expression of discomfort and passive-aggression when we say of each other ‘gosh, you’re just so SMART, I could never be as smart as you” as is required of standard-issue Conforming Women™. It’s not more work than posturing of the other kind, the kind that has something to prove and shoves itself forward at the expense of others for a place at a finite table, invitation to which is contingent upon appeasement and protection of the gatekeepers who hate you. It’s actually easy, compared to that. All you have to do is stop lying. And read a lot, I guess. And manage to stay alive and fed in all the ways we need to be fed. All right, fine, it’s not easy either way. But who said it would be, and what evidence have we that easy is better, anyway? Hard, bright joy comes from work. It can’t be borrowed or stolen or given. I exhort you: wise up. Life is short. Your heart might explode from looking too directly at the beloved. It will certainly implode from not doing so. Your heart’s going to stop either way. See? No needlepoint. You’re on your own. Do it yourself. You’re in fine and large company. Or maybe not large, but certainly fine. Exhortations & explosions! Blah blah blah. A crash and murmur of waves.